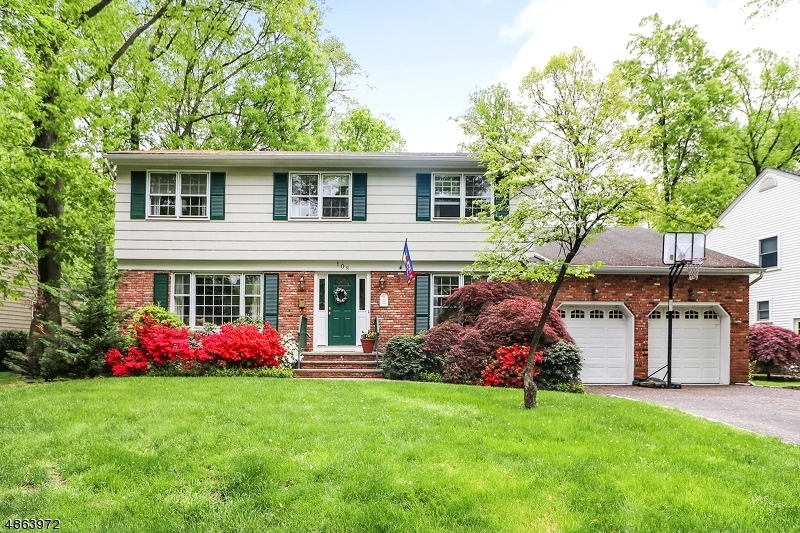 Classic brick front Center Hall Colonial is big & beautiful! Generous flowing floorplan offers LR & DR flanking the center hall foyer boasting red oak floors, pairs of French doors, crown moldings & multi-paned picture windows. Comfortable family room with raised hearth wood-burning FP. Totally renovated kitchen (2011) w/tall maple cabinets, granite counters & center island; adjoining informal dining w/sliders to 2015 deck. Fabulous mud/laundry room & powder room. The 2nd floor has MBR w/en-suite, walk-in closet, & sitting area. Three additional generous bedrooms & renovated main bath (2012). Recreation room in basement; oversized 2car garage. Location in close proximity to walking & biking trails, Nomahegan Park & Orange Ave School 3-8. Just 1 mile to CRANFORD town center & NYC transportation!